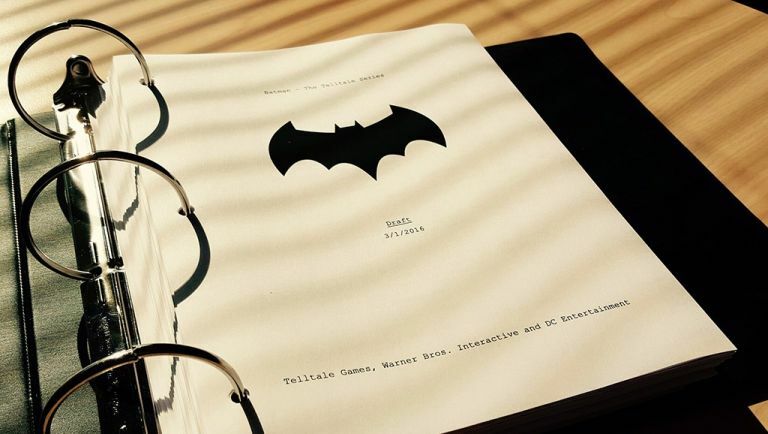 We've known since last year that Telltale - seemingly the busiest studio in the world right now - is working on a Batman game in the vein of its adventure game template, and at this year's South By South West festival we got another teasing glimpse into the studio's own take on the Caped Crusader. The SXSW panel, which was livestreamed on Twitch over the weekend for those unlucky enough to not be in attendance, revealed the new episodic series will focus on the duality of Bruce Wayne and his armoured alter-ego with a greater focus on Bruce's work as the head of his own corporation. Telltale will be bringing the mechanics we've seen used so deftly in The Walking Dead series and The Wolf Among Us, including those all important consequence-laden choices. You'll have the choice to approach cases as both Bruce Wayne and Batman, with both diplomatic and intimidation tactics available depending on which option you choose. The choices will offer the chance to see characters through both corruption and redemption arcs, so there's clearly a lot of scope for branching storylines and multiple playthroughs. It's also going to be a brand new version of the Dark Knight, meaning it'll be unconnected to the current comic series, Rocksteady's Arkham videogames or the Zack Snyder-directed Batman vs Superman: Dawn of Justice film out later this week. This shouldn't come as too much of a shock - we've seen countless different takes on the Batman, so opting for its own universe will give Telltale a little more creative freedom. Telltale will also be shooting for a comic book visual style reminiscent of its previous games, with a modern version of Gotham as its template. It's a shame the studio isn't shooting for a classic, 1930's-style setting a la Batman: The Animated Adventures, but we're still hopeful for a Bat game through the prism of Telltale's unique output.